Ridiculously fresh and glossy 9.2 copy of Incredible Hulk #2. This is a NM quality book with incredible eye appeal and ZERO Marvel Chipping. There is no way this comic should be less than 9.4 in our opinion. Exactly centered with beautiful SNOW white pages, tight staples, sharp corners and insanely bright colors. Second appearance of the Hulk, 1st in his green skin. 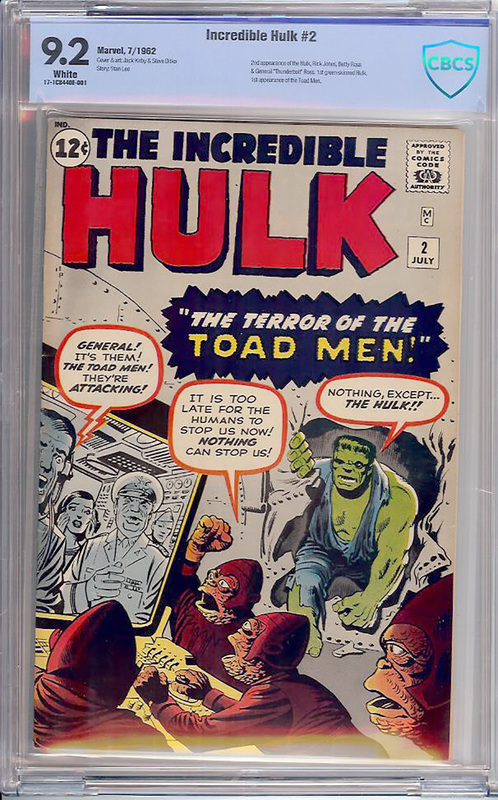 This is the nicest looking 9.2 example of Incredible Hulk #2 ever offered for sale. PERIOD.